Breathe in, breathe out. As much as I would like to think I am most definitely aware of my breath, I often forget about it during the day and lose myself. I’m not saying I forget about breathing– I mean THAT would be bad. No, I’m talking about being completely unaware of my breath even though every ounce of my body relies on it to survive. It’s instances like today though, that remind me to step back and breathe. Take in your surroundings, and breathe. 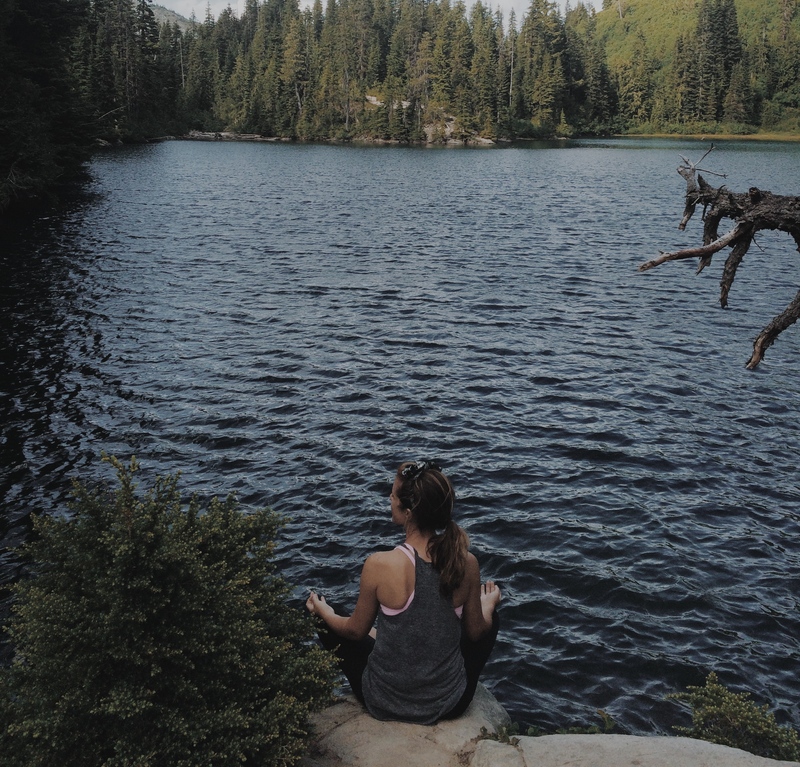 When I am in my element of yoga, or hiking in the mountains, my breath is everything. I notice my breath then more than any other time in my life. So why is it not as apparent during our other daily musings? Stress, the general busyness of our live, concentrating on the future and not living in the present- because if you really think about it, breath demands you to be present, and aware. Its easy to get swept up in the chaos of work or school, especially when everyone else is running at what seems like 100 mph. I try to keep up, but when I catch myself loosing inspiration or zest in my work, I realize its important to step back and breathe. After a busy morning I always step away from the scene and stretch, taking in the moment and my breath, focusing on the rise and fall of my lungs. Its amazing how just a few, lengthy, DEEP breaths can re-energize and renew your soul. When I step back from my work and renew my breath, I find how easy it is to become encouraged when I get back into my work space. Stepping back from your work and gaining perspective allows me to grab my breath by the reigns and appreciate how important breath really is. Not only do I love seeing what a deep breath does for my body, but I love how it helps me help others too. Next time you need inspiration, don’t look to your Pinterest board or Instagram feed right away. Step away from the desk, close your eyes, and just breathe. I totally just breathed in and out reading this one.